Duke beats UNC 75-58 for the ACC Title. This Quirky Stat "Predicted" the outcome. 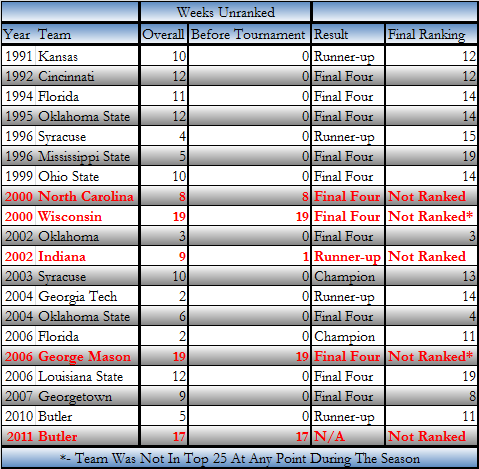 Over the last 20 years Duke and North Carolina have played in 5 ACC Champ. Games. I don’t know why, but every game has been a blowout. Also, Duke has won the games played on odd days and UNC on even days. So I guess I’m picking Duke by 20, but I wouldn’t bet any money on it.